You can explore la música in these 4 Dora dance-along adventures! 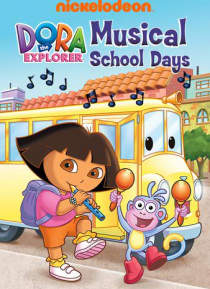 Join Dora and Boots to get their music teacher to class on time. Help Boots go solo to bring Dora a song she wrote. And get both the Grumpy Old Troll and Swiper the fox dancing for joy!